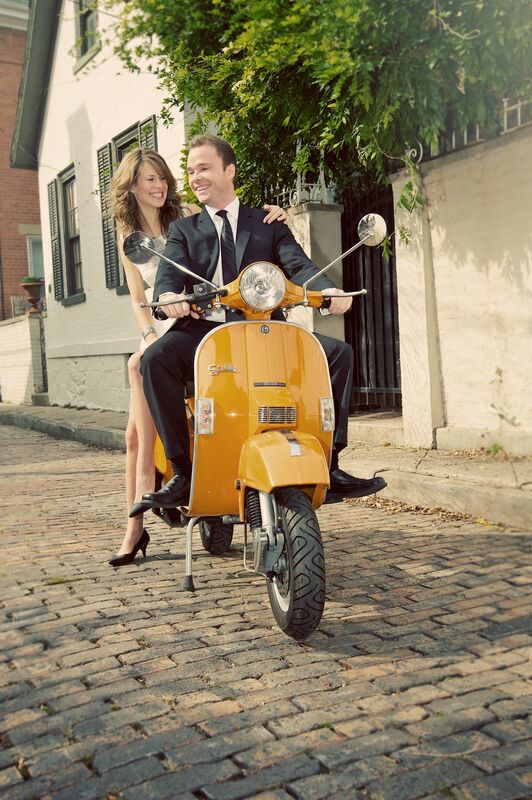 johanna + drew | german village scooter engagement portraits. johanna and drew approached us about creating a specific, nostalgic piece of art as a save-the-date for their destination wedding in florence. so we jumped at the idea of using photography as a means to attaning that end piece. we collaborated on the project, shooting photographs in german village but using florentine backdrops for their final piece. 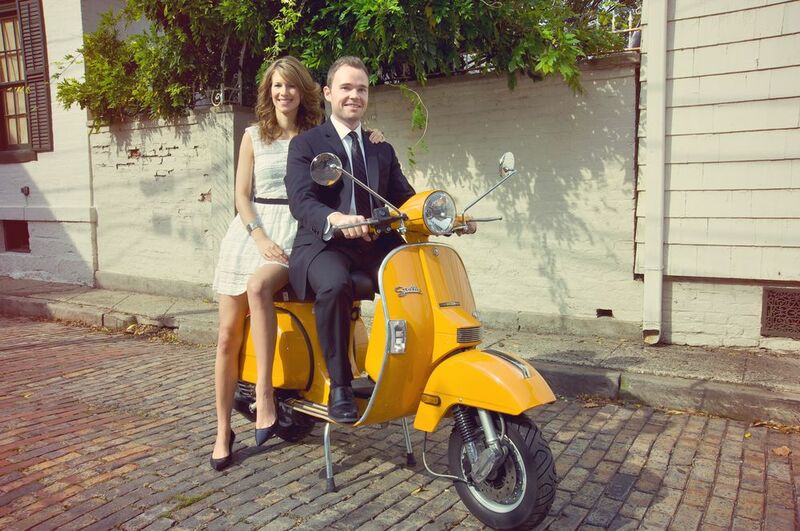 here are a few photographs from the shoot and one of our test ideas for their save-the-date cards. we had so much fun working on this! special thanks to Caitlin Didier at Capital City Scooters for all her help with the shoot, and for lending us a beautiful scooter!